York Racecourse. Photo: York Racecourse. York Racecourse is often described as the Ascot of the north, but the proud folk of Yorkshire would have it the other way round. To them, Ascot is the York of the south. And no wonder. The Ebor Festival (August 23-26 in 2017), serves up four compelling days of top-class sport. In 2014 it was to feature Taghrooda’s return to action after her stunning triumph in the G1 King George VI and Queen Elizabeth Stakes at Ascot last month, and the reappearance of dual Derby winner Australia. York may be the last in the sequence of the British summer racing festivals, but many among 100,000 anticipated visitors describe it as the best. While racegoers will savour some of the finest facilities anywhere in the world, the last four years has seen York refine the owner experience into a model for the industry at large. Racehorse owners are often taken for granted, but not at York. Significant capital investment has been directed at those whose runners make the whole show possible. 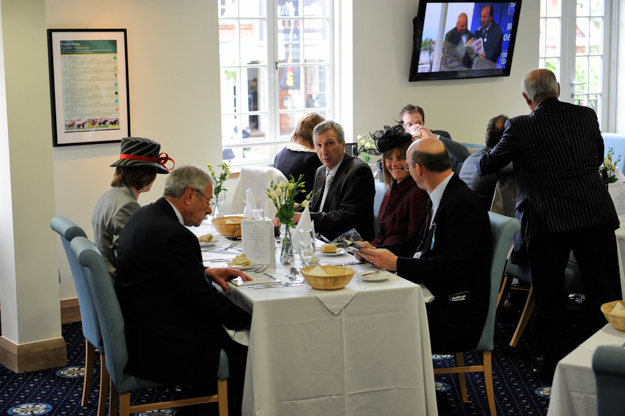 Since 2011, owners with runners at York have enjoyed the use of a dedicated lounge and dining room, with unobstructed views of the racecourse and parade ring. A recently completed building was also set aside to congratulate connections of winning horses. They instantly receive a USB stick with a still photograph of their winner, together with a DVD of the race. Within a week, winning owners are sent a photograph of the happy occasion within a silver frame. And celebratory glasses are raised not just by winning connections, but by those owning the second, third, and fourth horses home. It’s the sort of experience sorely lacking at other racing venues, and York is committed to extending it to owners beyond Britain. U.S. links with York Racecourse date back to 1972, when John Galbreath, owner of that year’s Epsom Derby winner Roberto, summoned crack American pilot Braulio Baeza, to ride his colt in the G1 International Stakes, then the Benson and Hedges Gold Cup. Baeza excelled himself, taking Roberto straight to the lead and inflicting on the mighty Brigadier Gerard the only defeat he would suffer in 18 career starts. American trainer Wesley Ward renewed the link in 2015 when he saddled Acapulco to be runner-up in the G1 Coolmore Nunthorpe Stakes. As with owners, Ward found a room dedicated solely for the comfort of trainers at York. The handshake extended to owners from overseas addresses all the finer points, from collection at the airport on arrival and hotel reservations right through to stabling facilities for their horses with local trainers. But of course, any ambition to attract overseas runners would come to nothing without the right infrastructure. York continues to invest in that domain, too, with a £5 million ($8.34 million) redevelopment of the pre-parade ring area soon due for completion. In 2009, the course spent £2.5 million ($4.17 million) on the racing surface, principally on a new drainage system, while prize-money levels are among the best in Britain. Derby is the driving force behind York’s commitment to owners in particular, and racegoers in general. A former commercial director at Ascot, he spent a year in Boston earning a condensed MBA from Harvard Business School. While there, he visited numerous sporting theatres for insights into the ultimate customer experience. “I was also based in New York and Chicago before that, when I worked for [international professional services giant] PricewaterhouseCoopers,” he said. “It was fascinating to see how they did things in different countries. I was particularly impressed by the owner experience at Flemington [in Australia] during their Spring Carnival. 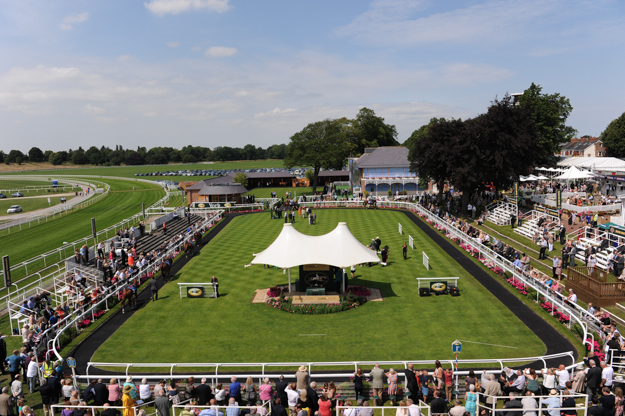 The Ebor Festival is big business to York, its value to the city estimated at £56 million within an overall annual input from racing to the local community of £220 million. For all that, racegoers will find unsurpassed value for money on the racecourse. A County Stand daily badge costs £55 ($92) with racecard included, as opposed to £95 ($160) for Ascot’s Royal Enclosure. And, at £30 ($50) a bottle for Mercier Champagne, it won’t break the bank to make a proper day of it. Keen pricing is made possible by the fact the racecourse is owned by a trust that allows all profits to be reinvested. Add to that the Yorkshire people’s inherent love of racing and you have a winning formula. It’s not just owners who are feted at York, although they are especially prized. Most will leave with their horse having failed to meet expectations, but the same won’t extend to their experience. Together with the memories, they will take with them their bespoke owners’ badge, customised with their silks, as a bookmark of their day. It’s a nice touch from a racecourse that practises what it preaches.